The Wise One who understood the law that was handed down from God long ago reflected the true meaning 2 his woman every day and she surrendered her discerning of it in2 his care and keeping 4 she trusted he would lead in the right way. Her children in subjection 2 her. She in subjection 2 the Wise One in subjection 2 the only begotten one, all ~ 4ever in subjection 2 God. Just like the Sun, the Rainbow Children rise. Flying upon the wings of the New Translation. C them fly, fly. The covenant will b kept this time. Just like the Sun, the Rainbow Children rise. Rainbow children, it’s time 2 rise! Rainbow children, it’s time 2 rise! As prophesied, the Wise One and his woman were tempted by the Resistor. He knowing full well the Wise One´s love 4 God assimilated the woman first and only. Quite naturally, chaos ensued and she and 5 others were banished from the Rainbow….4ever. The one who came from nothing . And yet from this one everything comes. The one who commands ur momma With the simple phrase “I am“ And every time that she obeys She gives birth 2 the Son of Man Who is this? Reproduction of the new breed leader Stand up and organize! The Wise One who understood the law that was handed down from God long ago, held fast in his belief that the Lord would bring him another one who loved him so. The helix be might get between them. Filho, você é bastante forte e capaz de conseguir muito. Acredite em mim. Não foi escolhido sem razão para estar neste momento na Terra. Tem uma vontade forte, uma constituição forte e muito amor em seu coração. Muitas outras criaturas se voluntariaram e também foram escolhidas. Isso por si só já é um sinal de sua grandeza. Está muito bem equipado para esta exigente, embora gratificante missão. Pode fazer e conseguirá minha criança. Sei disso porque está muito bem a banhar-se no meu Amor para lhe dar ainda mais vigor. Sophia was the Mother of Creation; her consort and assistant was Jehovah. Her sacred shrine, Hagia Sophia in Istanbul, is one of the seven wonders of the world. Her symbol, the dove, represents spirit; she is crowned by stars, a Middle Eastern icon, to indicate her absolute divinity. The saga of Sophia is the story of the soul’s adventure across infinity, as well as the perennial symbol of the triumphant return of the Divine Feminine. These energies, or Aeons manifest sensory worlds by dreaming. The One creates multiple emanations in the Pleroma. Each with a masculine and feminine polarity. Always in movement, these Aeons formed pairs called syzygies. Together these emanations come together to create a thought form. “YOU ARE MISTAKEN BLIND ONE. AND WHO WILL APPEAR AMONG YOUR DUPLICATE FORMS IN YOUR SIMULATED WORLD. HUMANITY EXISTS AND THE OFFSPRING OF THE HUMAN STRAIN EXISTS. A celestial light came to her aid. 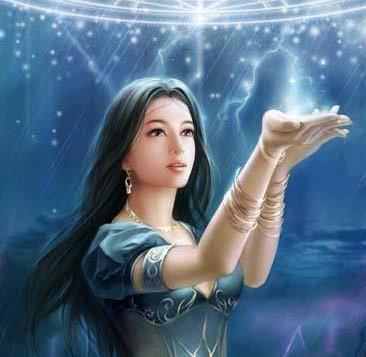 She aligned her divine power with a new born star. That star is our Sun. 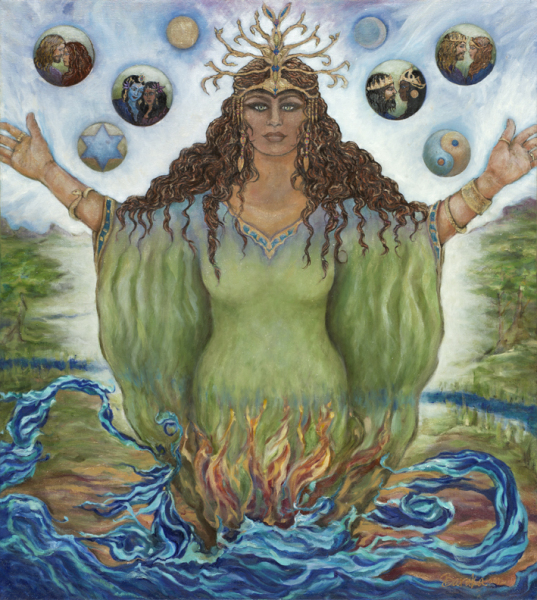 In order to redeem her action that created the Archons, according to the Gnostic texts, she took the physical form as Gaia (The Original Earth) and her daughter was called Zoe (the Imagination). While the Demiurge and the Archons built their replica Earth Matrix, (using other electromagnetic bodies known as Planets and Suns), an illusionary construct, was made to perfectly ‘mimic’ the original earth reality. This Father God created seven realms, each more material than the last, until finally this human world was formed and the beings of this world rose and walked, crawled or flew through the skies. But the Father God was vain and jealous, angry and forbidding, not knowing the power of the higher Aeons, nor of the Pleroma, nor even of his own Mother, the Divine Sophia. When the Divine Sophia instructed him and opened his mind to Truth, he was amazed and refused to divulge these mysteries to those of his own creation. Being a god of the material, social and psychic order, it was not possible for him to be a teacher of the higher mysteries, and Sophia was dismayed by his wrath, anger and jealousy. So when he created the first human beings, She was there and secretly, without his knowing, She gave to them the gift of the Holy Spirit as a divine spark in every human heart. And it is said, that in the Garden of Eden, created by the lower Father God, that Eve was the manifestation of the Lower Wisdom and that the serpent or snake of the tree, was actually the Christos who urged Eve to eat the Fruit of the Tree of Knowledge that she might attain the true Gnosis or knowledge of her origins and realize the Higher Sophia in perfect illumination and bliss. But the Father God, discovering that this secret teaching was disturbing his supremacy in the lower realms grew angry and cast them out of the garden and into the suffering of the world. Yet each and every descendent has this spark and the potential to recover the true Gnosis. The Gnostics say that humanity is caught up between two realities, the ‘original Earth’ and the one created out of what the Gnostic texts call HAL forged by its ‘Creator’ – the Demiurge (Father God). On Earth the Archons are the ‘genies in a bottle’, phantoms that can take many forms through fire and water, so to be let loose or to be commanded. Once loose, they can and do influence the illusionary world for those that ‘communicate with them’. See all ‘magicians’ from Dr John Dee to Crowley, & the Satanic elite. Rediscovering the Lineage of Sophia becomes an essential key to accomplishing the task of Humanity as Anthropos. (Anthropos is a Greek word meaning, in the ancient mystery schools, the template of divine human potential.) The Gnostics have said that the gift of the imaginal reveals Divinity’s greatest gift to humanity, and is one of our most essential tools in expanding awareness. The intention in telling this story, largely based on Gnostic texts, is to spark your own “direct knowing,” which will then inform your sacred activism in the world.